If time, space, or budget is a limitation, below are a few online courses I’ve had produced which are available for free or for a nominal rate. 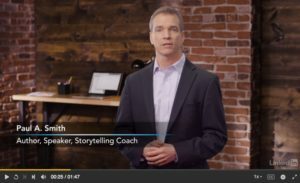 Leading with Stories: A 36-minute executive overview of leadership storytelling from the professional training studios at LinkedIn Learning. 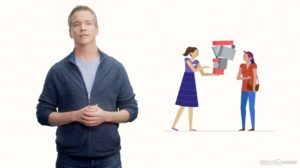 Selling with Stories: Part I – What Makes a Great Story: A 90-minute short course on crafting great sales stories from the professional training studios at LinkedIn Learning. 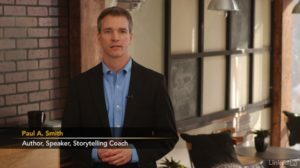 Selling with Stories: Part II – Stories Great Salespeople Tell: Examples of the 25 most useful sales stories, and tips to crafting your own. 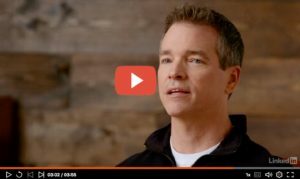 Leadership Stories Weekly: A weekly 4-minute lesson in leadership drawn from my interviews with over 250 CEOs and executives around the world. I share the experiences that led these leaders to learn a critical lesson or gain some invaluable — and often unconventional — wisdom. They cover topics such as setting a vision, leading change, and getting more creativity out of an organization. Think of this as a weekly fireside chat with someone who’s had the luxury of interviewing some of the most insightful executives in the world. Tune in every Monday for a new lesson. 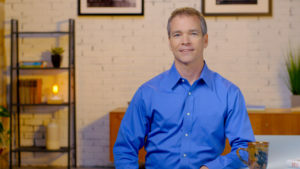 Mastering Retail Conversations – Designed for new retail sales associates, this 30-minute course teaches you how to have the most important conversations you’ll need to have with your customers, including conversations about what they’re looking for, how to talk to an angry customer, responding to “Thanks, I’m just looking,” or even tougher, “Does this dress make me look fat?”. Plus advanced topics like up-selling and cross-selling conversations. 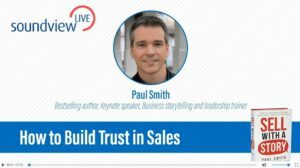 Overview of Sell with a Story: A 50-minute narrated slideshow on storytelling for salespeople from Soundview Live Executive Book Summaries, narrated by Paul Smith. 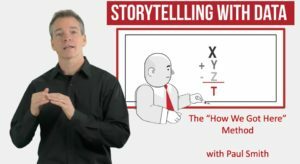 How to tell stories with data – method 1 (the “How we got here” method): A 7-minute short course on how to use actual storytelling techniques with data instead of words. The 1st of 2 methods. 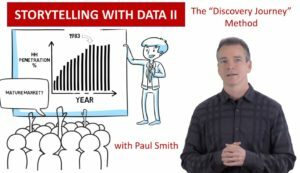 How to tell stories with data – method 2 (the “Discovery Journey” method): A 10-minute short course on how to use actual storytelling techniques with data instead of words. The 2nd of 2 methods. 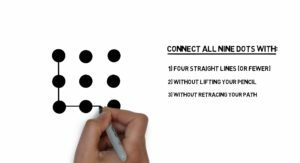 Managing for Creativity: Lessons from the Nine-Dot Problem: (5-minutes) Instead of telling people to “think outside the box,” draw them a bigger box! Here’s how. . .